Are you really in control of your decisions, emotions, and behavior? Perhaps the greatest gift we can give to ourselves, our family, employees or our friends is the ability to wake up to our personal truth, and live by that truth as much as possible. If you’ve been feeling disconnected from who you are, cut off from the best your life has to offer, it’s time to identify the culprit. Your Gremlin – that pesky negative voice that keeps saying you can’t have it all – is working overtime to keep you off balance, stressed out, and fearful. The solution? It’s time to free your genie! As an inventor and entrepreneur, I have struggled many times to maintain positive energy and persevere in the face of challenges…wishing for something to come along and pull me out of my doldrums. 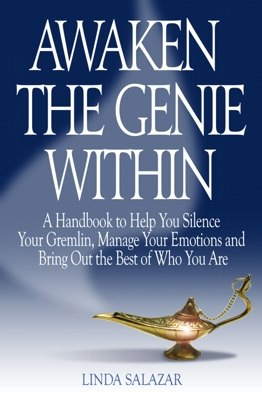 I don’t readily reach for self-help materials…until I was introduced to Awaken The Genie Within. What a wonderful surprise was in store for me, as I finally discovered a most useful reference to aid me in keeping on track with energized belief and focus. Awaken The Genie Within pulls the stopper and helps you find your voice, your center, and your soul. You’ll discover ways to manage your thoughts and emotions to attract what you want and need, along with practical tips for improving your relationships and your working life. Mastery of quieting your gremlin and waking up your genie will bring inner fulfillment, peace, and accomplishment into your life. The teachings contained in this book will guide you to a deeper awakening of your spirit so you can experience true joy. “This book blew my mind!!!! Linda’s words spoke so loudly and truthfully to me. 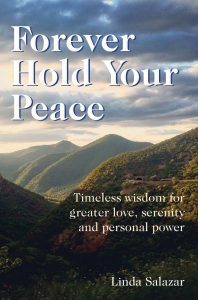 From her own life experiences and her own wisdom…she shares her thoughts in such a poignant and powerful way – in a style that always makes you feel like she’s your best friend! Attain happiness from the inside out. 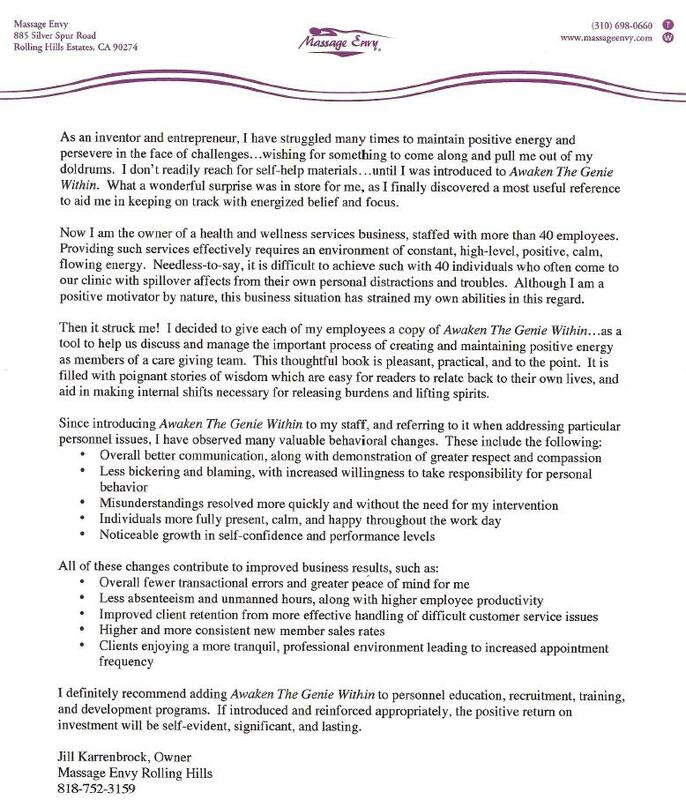 Awaken The Genie Within is the perfect gift for friends, family, or colleagues who are struggling with their lives. Author Linda Salazar, a Personal Life Coach, brings years of practical wisdom to this book. 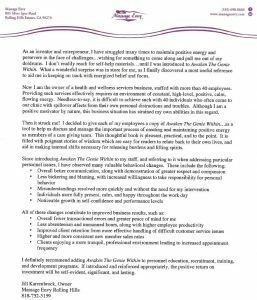 It has been developed by guiding clients through heartache, job changes, and relationship issues teaching you to awaken your ‘Genie’ – divine wisdom – to solve life’s challenges. “I can honestly say that reading Awaken The Genie Within completely changed my outlook on how I view life. There used to be a lot of negativity which left me struggling from time to time making some days much harder than others. Use these stories to lift you up when you’re feeling down, to bring clarity during times of confusion, and to turn anxiety into peace and fear into confidence. Bring it to work and read a passage when you’re dealing with particularly difficult people or situations. “This book is like shaving a few years off therapy – there’s so much wisdom about how to approach life’s big and little issues. The ‘best friend sharing stories’ style allows me to learn new perspectives on everything from relationships to annoyingly slow traffic in my rushed life. These lessons seep into one’s consciousness in a mysterious way. I find myself a bit more tolerant, compassionate, successful, and therefore more joyous in many areas of life.